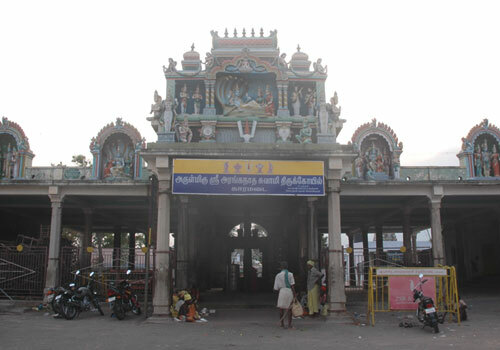 Venkateshwara is the deity of Kaliyugam. 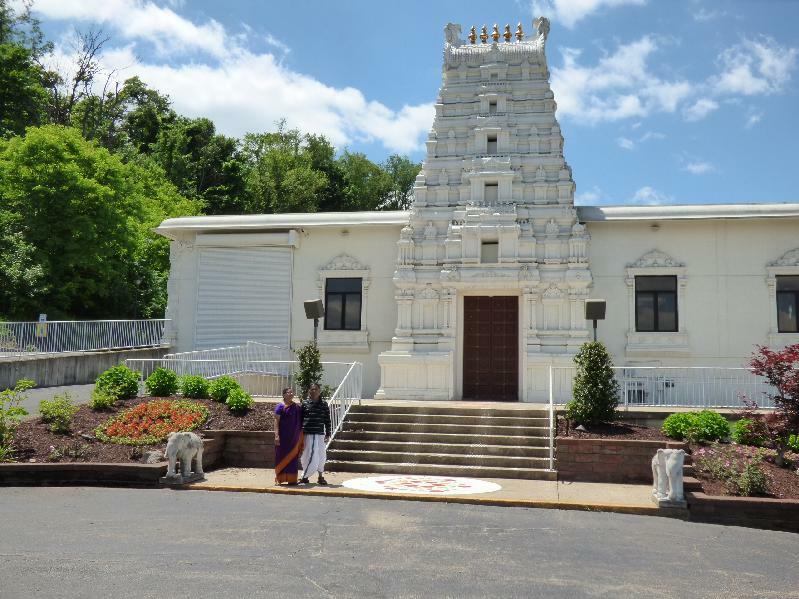 As if to prove this we have many many temples to the ‘Lord of the seven Hills’ in the USA. 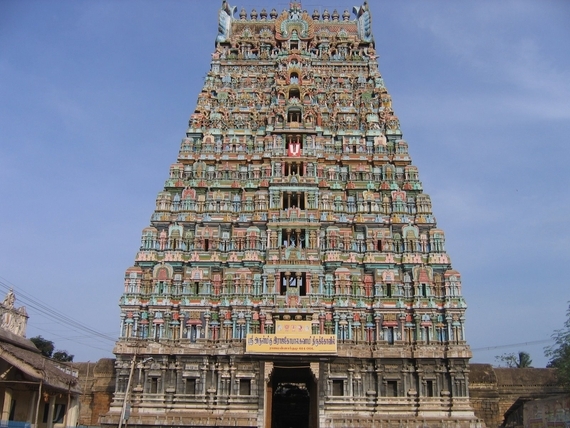 The reason maybe because the Telugu people have migrated here in great numbers and being bhakthi laden people have established temples for Venkatesvara Perumal wherever their jobs take them. Also the community gets involved in volunteering which keeps the movement going. 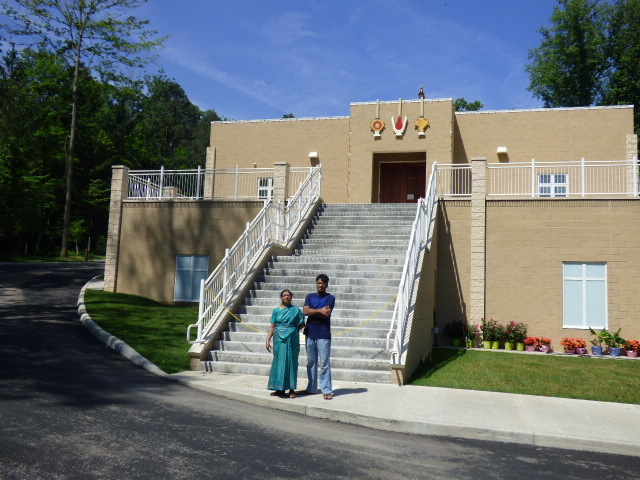 During our visit to the USA we got to visit a few temples and this is an account of three temples dedicated to Him. 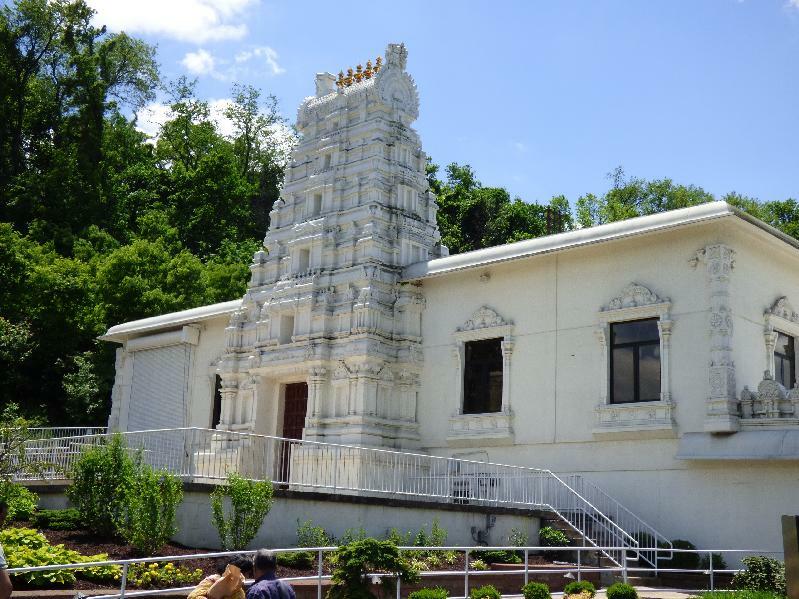 The temple at Pittsburgh is perhaps one of the oldest temples in the US. 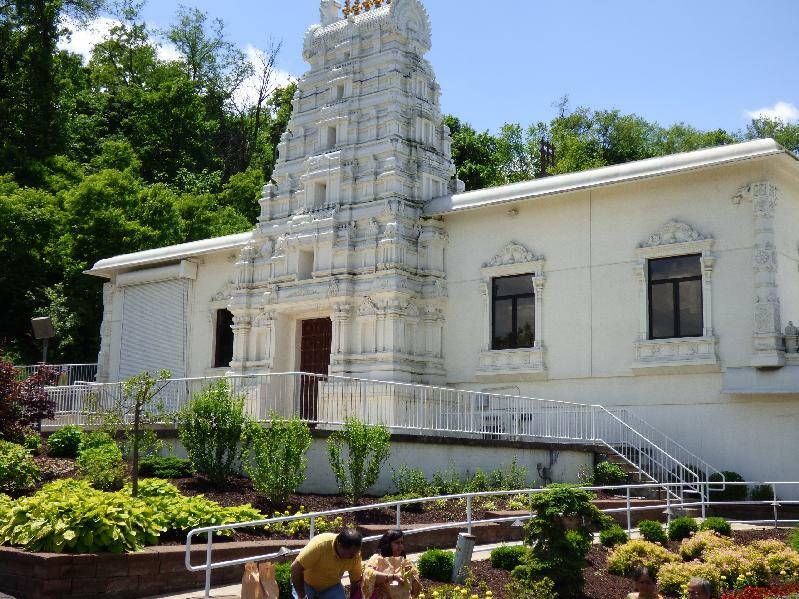 Situated on Penn Hills this temple can be called ‘Tirupati of the US. 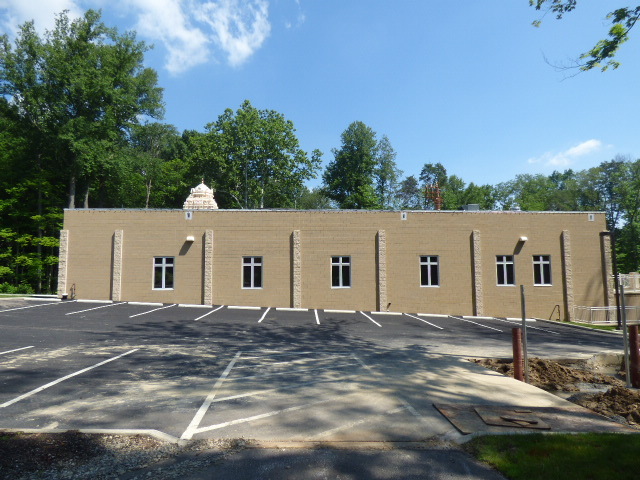 ‘Built way back in 1977 with assistance from TTD. it has become a place of pilgrimage. 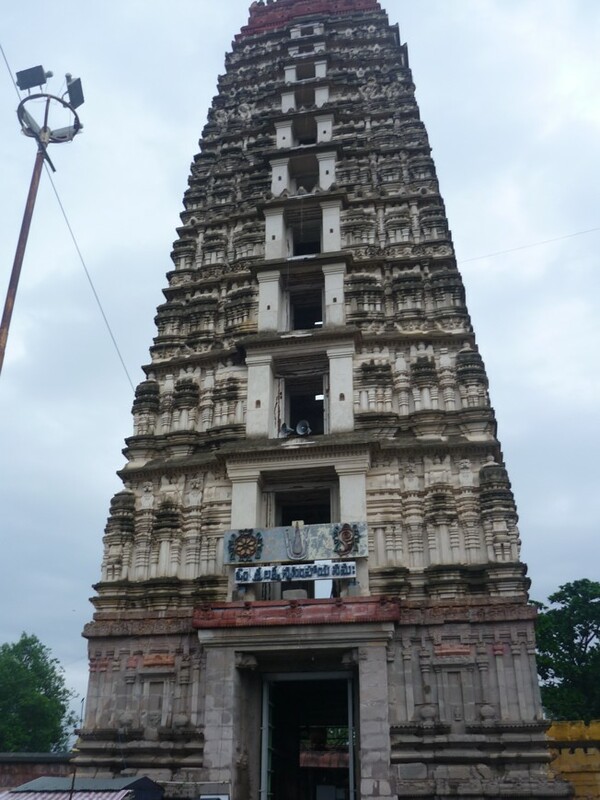 We visited this temple twice during this trip. 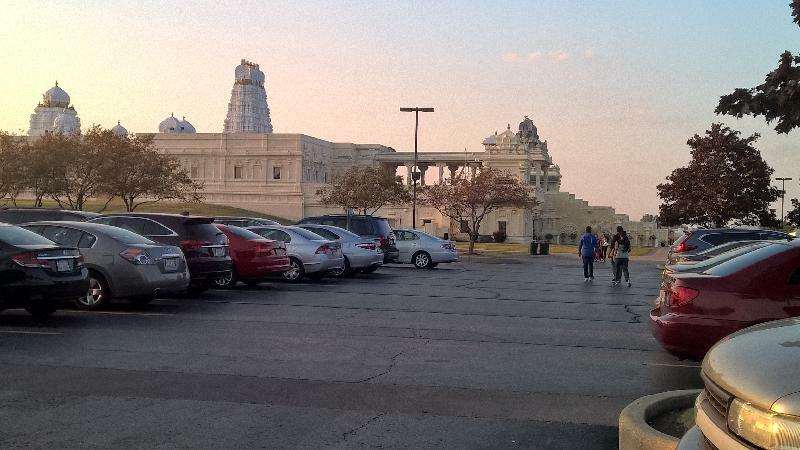 It takes two and a half hours to drive from Cleveland to the temple. During the first trip we got darsan at close quarters and felt happy to be near Him without anyone saying ‘jaragandi’. Also got to be part of the procession for His kalyanautsavam. 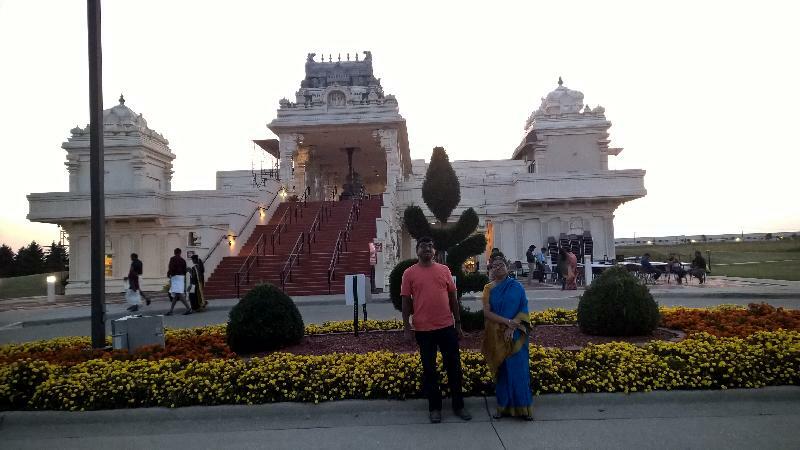 But as if to prove that He was no lesser than His Tirumala counterpart when we reached the temple on another occasion Abhishekam was on and we were asked to move away as we were blocking Garudan sannidhi. Somehow managed to get a spot and got to see Sahasradhara Tirumanjanam and the adorning of the towel turban and flower haram around His forehead. 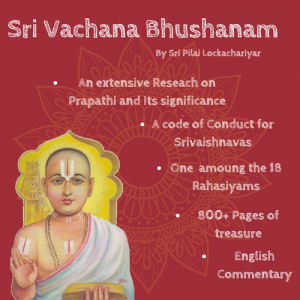 It was a wonderful sight to the accompaniment of purusha-suktham and vennai alandhu’. 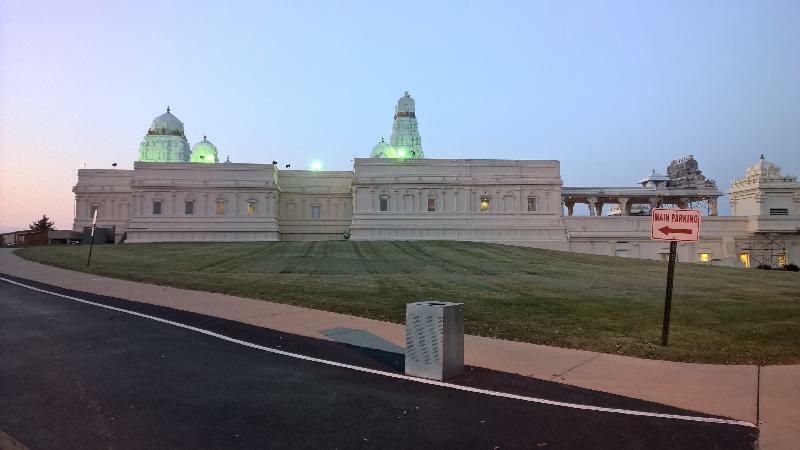 There is sanctity in the temple and one does feel peaceful. The presence of a spot to wash one’s legs and dry them is unique to the temple and deserves emulation. 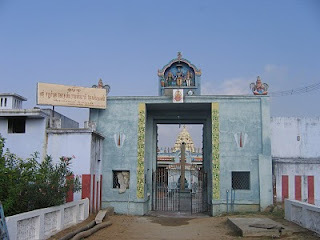 The prakaram housing various vahanams is also the venue for Perumal’s kalyana utsavam and Satyanarayana puja. 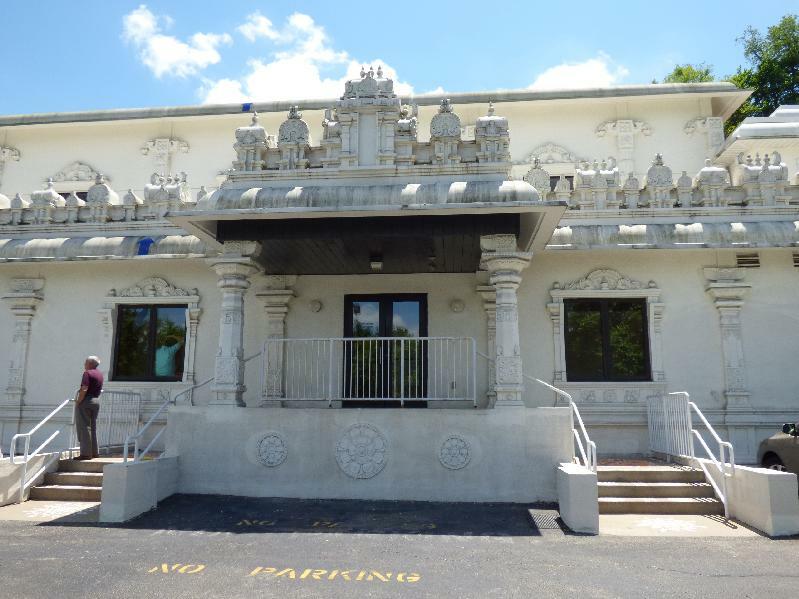 If Pittsburgh Srinivasa blessed us with His Tirumeni darsanam , the Cleveland Srinivasa gave us darsan in ‘Poolangi’. 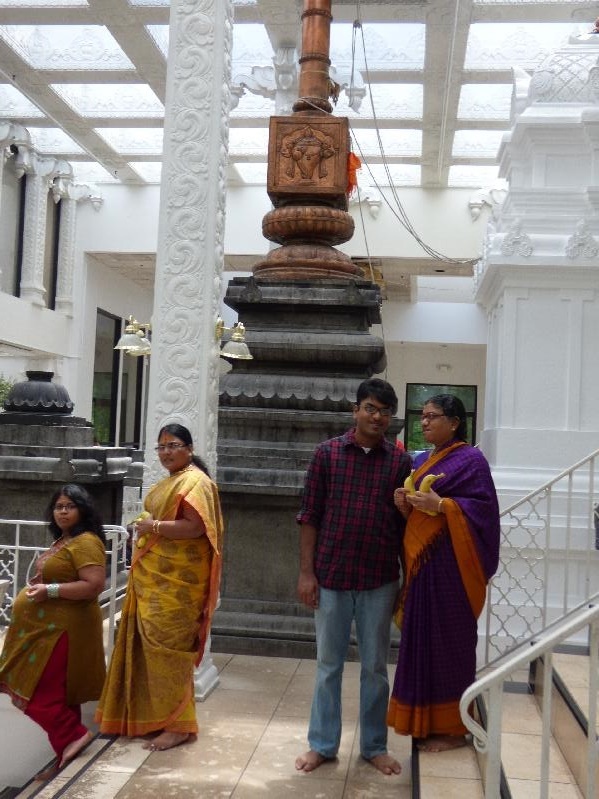 This was when we visited the temple on’ Vijaya Dasami’ day. 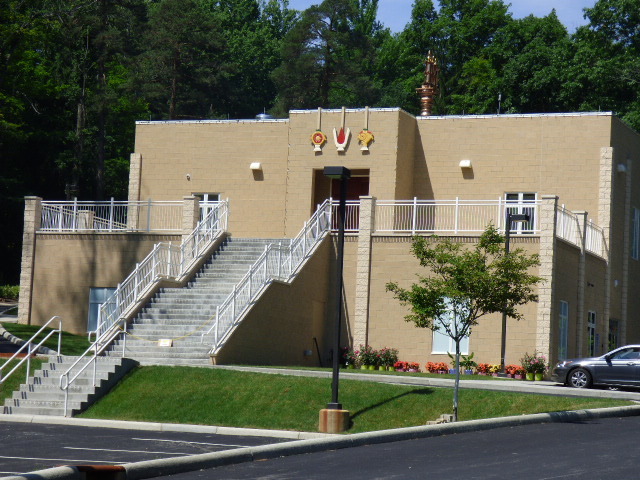 Situated in Richfield this temple came up about four years ago. We got to see Srinivasa at close quarters clothed in aesthetically arranged flower garlands. To His left we have Alamelu Mangai Thayar and to His right Andal. 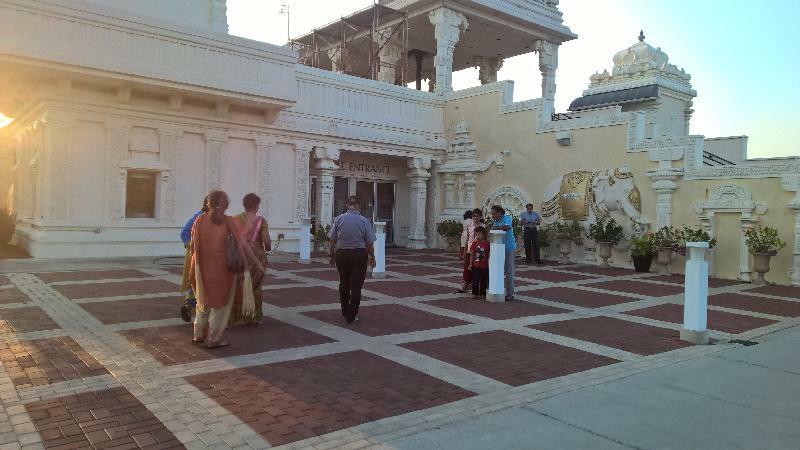 This is the arrangement in Pittsburgh temple too. Infront of Thayar sannidhi the ‘Utsavars ‘ were on a platform and there was a’ decorated Tulasi pot ‘represnting the ‘Shami Tree’ . The priest was explaining that it was on ‘Vijaya Dasmi’ that Pandavas retrieved the weapons they had hidden there at the start of their one year ‘agyath vasam or staying ‘incognito’. The five of them and Draupadi assumed different disguises during this period. When Virata kingdom was attacked by the Kauravas Arjuna went and got the hidden weapons from the shamika to fight and defeat the enemies. 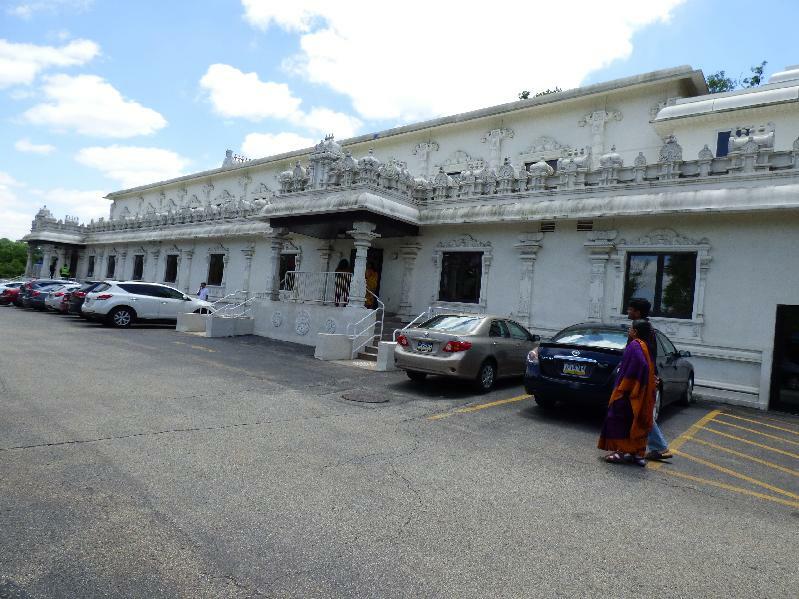 The other Srinivasa temple we visited was The Aurora Temple in Greater Chicago. This was on the first Purattasi Saturday. The Lord gave us darsan decked up in heavy gold jewellery(visesha abharna alankaram) and one kept looking at Him again and again. Thayar sannidhi and Andal sannidhi flanked Him and Andal sannidhi had vigrahas of Nammazhwar , Bhaghavadh Ramanuja and Swami Desikan. 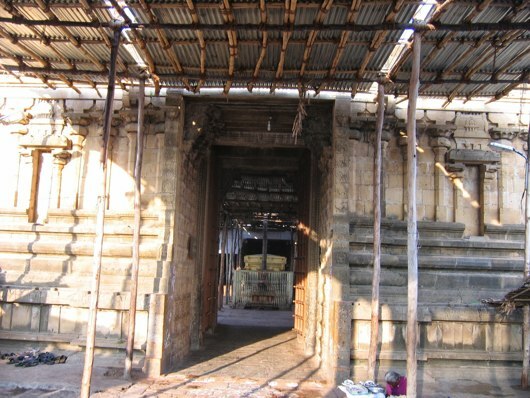 We were told that ‘Daya Satakam’ parayanam is done on all Purattasi Saturdays and Swami Desikan’s tirunakshatram is celebrated along with Srinivasa ‘s Tirunakshatram. 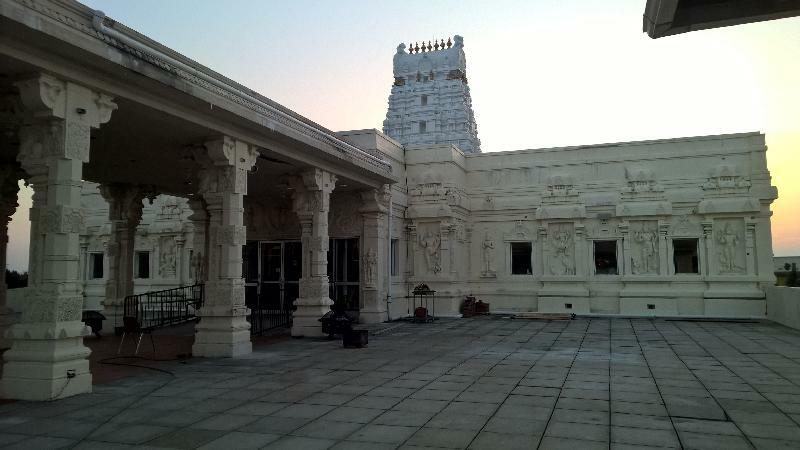 Besides these temples we had darsan of Balaji at Sri Ranganatha temple on Avani Sravanam day and got to see complete Tirumanjanam and alo got to see the divyamangala vigraham(Moolavar) at Somerset New Jersey where Andavan Ashram’s ‘Ramanuja Mission’ will be buiding another temple for Srinivasa in the US. Swami Desikan says His Daya has manifested as the Seven Hills. 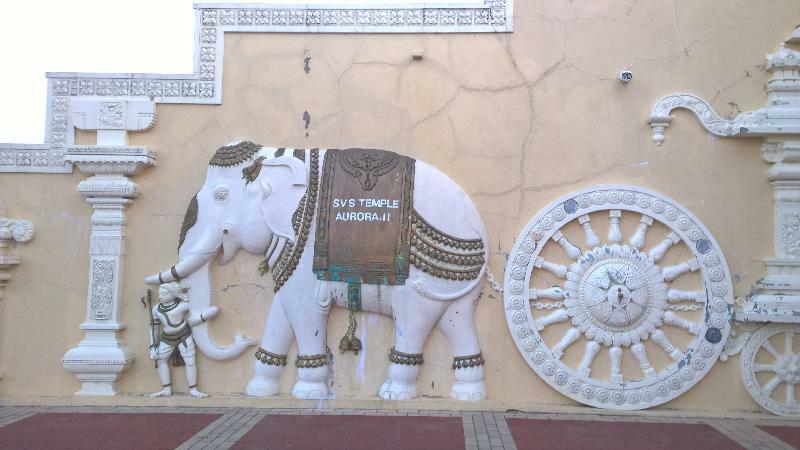 It is interesting to note that swami’s work is not called Srinivasa Satakam but Daya Satakam. It is because of this ‘Daya’ that He has chosen to reside in a temple wherever His devotees desire. 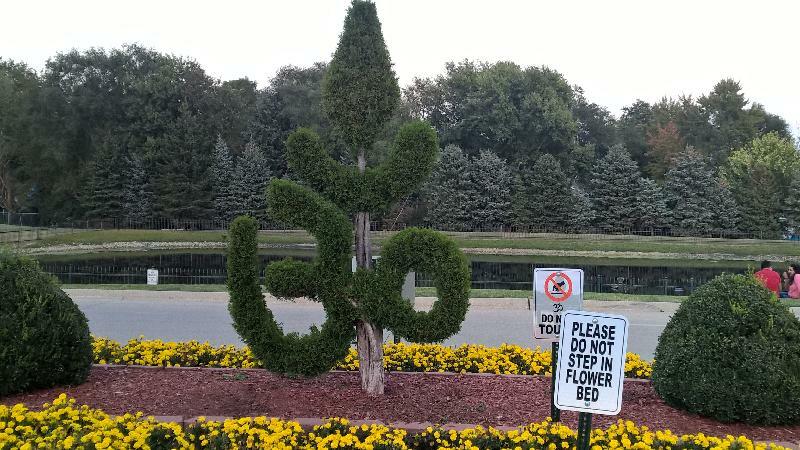 Govinda! Govinda! Govinda!